For over 80 years, Carpenter’s Roofing & Sheet Metal (CRSM) has been building roofs that enhance the beauty of your home and stand tough against South Florida’s harsh environment. CRSM is committed to using only the highest quality materials and roofing methods, ensuring that your roof is built with proven solid construction and the most advanced roofing technology. And, with an experienced team of roofing professionals on every job, you can rest assured that your roof will maintain its integrity despite Florida’s severe weather conditions. 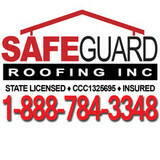 Trust your home and your family to Carpenter’s Roofing & Sheet Metal, the roofing contractor South Florida homeowners have relied on since 1931. We can find an impressive display of various types of roofs across the world. Basically, you can classify house roof types into two; one the flat type and the other hipped roof. The gable roofs, though, have many eye-catching designs and styles, are not suitable for the houses in typhoon zone. If you look for pressure roof cleaning companies they will tell you exactly what would be best suited for your house as per the area you live in. When taking a decision on what roof to build, you must consider two things; the various house roof types and the different roofing materials used, for assistance consulting roof cleaning companies would be a wise option. Gable roof and hip roof are almost the same. While gable roof slopes from each side and meet at the ridge, the hip roof slopes from all four sides. It gives the appearance of a lid on a rectangular box. Hip roofs are costly to make because it needs more work, more materials and more manpower. 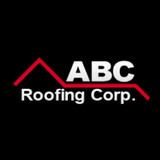 What do roofing companies in Pompano Beach, FL do? Your Pompano Beach, FL roofing contractor can install a new roof or repair an old one, as well as repair and replace gutters. Good roofers in Pompano Beach, FL should be able to promptly inspect roofs and gutters to assess damage after a natural disaster or other event, and give you an estimate for the necessary roof repair immediately. Some Pompano Beach roofing companies specialize in specific types of roofs, such as tile or metal, so make sure the one you are interested in works with the materials you have or desire. Find a Pompano Beach roofer on Houzz. 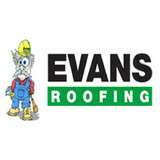 Narrow your search in the Professionals section of the website to roofing companies in Pompano Beach, FL. If you’re planning a large-scale project, find other professionals on Houzz who can help get the job done. Here are some related professionals and vendors to complement the work of roofing & gutters: General Contractors, Specialty Contractors, Siding & Exteriors, Door Sales & Installation, Garage Door Sales & Installation.